Nov. 29, 2018 – U.S. Reps. Kevin Brady (R-Texas) and Richard Neal (D-Mass.) recently have introduced the Equal Treatment of Public Servants Act of 2018 (HR 6933) in an effort to restart the debate and public discussion regarding reform of the Social Security Windfall Elimination Provision. Under the current WEP law, retirees who are eligible to receive a pension from OPERS (or other public retirement systems), as well as Social Security, for working a portion of their career in the private sector often see their Social Security benefit reduced. The previous version of this legislation – the Equal Treatment of Public Servants Act of 2015 (HR 711) – sought to repeal the existing WEP reduction formula and replace it with a new proportional Social Security benefit formula based on an individual’s entire earnings history, regardless of whether their employment was covered by Social Security or not. Although HR 6933 retains the proportional formula idea from HR 711, the proposal would establish a new form of relief for individuals who WEP currently impacts. Whereas HR 711 offered individuals a variable percentage decrease in their WEP offset based on savings generated by the bill, HR 6933 instead provides a $100 per-month-payment to those who WEP has impacted, regardless of the amount of their offset. The legislation also specifies that the payment would increase with Social Security’s cost-of-living adjustments. If passed, the $100-per-month payments would begin in January 2020. It’s unclear whether there is a path forward for HR 6933 in the current Congress. With less than two months remaining in the session, passage would require considerable concessions from various interested parties. OPERS is working directly with Congressional staff in an effort to shape the development of the legislation. Rest assured, we will continue to advocate for the best possible solution – for all OPERS members. We are grateful that Rep. Brady and Rep. Neal have continued to work on an equitable resolution to this issue, and that they understand the devastating impact the WEP has had on retired public employees across the nation. HR 6933 presents an innovative, if incomplete, way to address a problem that has vexed our members for decades, and if its funding questions can be resolved, it may be our best chance yet to reform the WEP and return more of the Social Security benefits our members have earned. Thanks for the update. sounds good. They take 2/3 of my SS. They won’t let me claim on my husband , he made way more money than me. SS is my money not the government. I agree 155% Mary!!!!!! I get so disgusted when that subject comes up. Now that I am very very passionate about. I worked in the private sector for 22 years before working for the State of Ohio for 23 years. I only receive 1/3 of the social security that I was entitled to without WEP. I have a neighbor right next door who receives a very large pension check every month from AT&T – PLUS her full social security. WEP is clearly unfair to anyone who paid into social security and worked in the public sector! The ENTIRE Windfall and GPO needs to be overhauled at minimum and at best, eliminated entirely. BOTH discriminate AND penalize those who have retired as a public servant and has unfortunately lost their spouse. It also penalizes anyone who has worked in the private and public service. At minimum, if you have worked in the private sector or lost a spouse that worked in the private sector AND paid anything into social security you should be entitled to those benefits. If not, you should be entitled to a FULL REFUND of all the money that was paid to SS by you and/or your spouse. Short of a full refund, our money was stolen! The more I read about WEP and GOP offset the clearer the unfairness to retirees of public pensions become. Why penalize workers that qualify for SS benefits, including SS for surviving spouses. Many of my former co-workers completed full service with OPERS, retired for 3 months and returned to work so they might receive a second pension. The same situation with many other Public Employees. Please tell me what fairness is there to workers who are eligible for SS benefits and have them reduced by two thirds. Also surviving spouses be totally eliminated by ther GOP ? I am thankful for my employment as a public employee, likewise I worked every day in the private sector and should not be penalized. Please show fairness to retirees of public employment. I am in the same situation. But will the proposal will decrease my current benefits to $100? I am currently getting more than $100. Under the current proposal, the $100 would be in addition to what you are currently receiving. I agree 100 percent with you. my husband passed away two years ago i do not get any SS of his because i worked for Cuyahoga county. i hope this will change. i totally agree with you Cindy. i am in the same situation…S.S. is so ineffective! Totally agree! I worked more years contributing to SS than working for the state and don’t see what I should get from SS. Would love to see this bill pass so I can receive what I contributed. I agree with Cindy . I have worked hard all my life and should draw on what I earned ! I am 67 years old and have worked on pipelines the last 6 years since I retired on OPERS,and will probably work again next year ! Started working in private sector in my teens. Completed all the quarters necessary to get full SS benefits. Switched to public service sector and worked an additional 15 years, enough to retire with full OPERS benefits. Back to private sector for another 10 years. It makes no sense to not be able to receive both full benefits. If I were in the Federal system, armed forces or government, I would receive both in full. I worked in the private sector and paid into SS then worke for the postal service for 31 years. SS deducted 2/3 at retirement. Our govt. has a license to steal. I would have at least liked to be repaid for what I paid in. I,too,was surprised at the large impact of the federal WEP legislation on my social security. Not only did it reduce my social security payments but my wife’s social security payments as well, since she filed on my record. She received 50% of my reduced amount, a double hit! Not right. I earned and paid into both funds for many years. I do appreciate all the efforts to rectify this injustice,however, given the current underfunding of the social security and medicare funds, i doubt seriously if they will meet with any success. If anything, prepare yourself for more cutbacks. I’m so glad that this issue is back in focus. I too am angry at this windfall junk. I, like many here have worked extremely hard during the pursuit of my education. I paid into SS as a TAX payer is suppose for many years and even during my employment in the state system. Now that my retirement is approaching I discover that my SS will be reduced and I was banking on that to cover health insurance. PLEASE count me in to support the change and return the retirement money back to the rightful recipients—the tax payers who put it there to begin with. I would be so greatful. Thanks so much. I worked 21 yrs under PERS. I left when my youngest son graduated college so that I could follow my dream of nursing. I completed all of my needed SS quarters mostly as a RN. I made more in those nursing years than my sister did working only under SS. Her SS check is three times what mine is!! I live at poverty level and she drives a Lexus. I don’t want anyone else’s benefits, just what I’m entitled to after 45 yrs of full time employment! I was severely penalized by WEP since I did work under SS for several years. I believe OH is only one of 11 states who have WEP. My monthly SS retirement was reduced by 60% under WEP. I don’t understand why SS distribution became, at some level, an individual state’s decision. WEP and GPO are part of the Social Security Act , which is a federal law. States cannot decide whether or not to obey it. The law applies to those who receive a public pension from a job where they didn’t pay into Social Security. Ohio is one of 15 “non-Social Security states” where public employees do not pay into Social Security. We published a blog last year that provided more background on this issue that you may find helpful, https://perspective.opers.org/index.php/2017/04/04/supporting-solutions-to-the-wep-issue/. Is this legislation also addressing the loss of a deceased spouses Social Security benefits just because we are drawing our OPERS retirement??? You’re thinking of the Government Pension Offset, or GPO. If you receive a pension from a government job in which you did not pay Social Security taxes, some or all of your Social Security spouse’s, widow’s, or widower’s benefit may be offset due to receipt of that pension. This offset is referred to the Government Pension Offset or GPO. HR 6933 does not address GPO, only WEP (which impacts Social Security benefits based on the member’s own Social Security covered work record). We continue to advocate for GPO and WEP reform. Julie: Thanks for clarifying that distinction between the two type of ‘windfall’ off-sets: WEP & GPO. I lost my wife to cancer in 2010, so I’m acutely aware of the impact which the GPO will have on my right, as a widower of a SS contributor, to receive the monthly benefit she would’ve receive upon retiring. Although it was money my wife fully earned and paid into SS for 35-years, it appears the GPO will allow the government to keep ALL OF IT while I, her widower, receive nothing. The GPO punishes public-sector retirees who had the misfortune of losing a spouse who paid earnings into SS during their work-life. Not fair at all! Perhaps we didn’t pay into Social Security as public employees, but neither did all of the spouses that didn’t work but receive half of their spouses social security at retirement age. I worked 22 years in private sector before I worked 20 years under OPERS. I was docked severely which is totally wrong and unfair. It’s about time they look at this travesty. I would love to be able to get all of my Social Security earnings rather than less than half. I worked under OPERS and Social Security two different times. And paid into each fund. I certainly should receive the full amount of each benefit before anyone that has never paid into it! Anything that you can do to get us our full Social Security benefit would be so appreciated! I had my SS benefit cut by 70% without any reason given except that I was getting an OPERS retirement. Shouldn’t I get the benefit I worked for? I am 81 years old and still working to pay for Insurances not covered for my spouse or me. If this goes thru it would be a blessing from heaven. My husband worked for the City of Columbus for 30 years. His social security offset is a small insult compared to the larger insult. We checked on the amount of social security he will get if I die first. The answer was that his offset will eliminate all of MY social security benefits to him. I agree with your complaint! My husband worked under social security for many years before passing. As a life-long underpaid state employee, I was informed that I did make just enough to get NONE of his social security benefit! So, who is benefiting from my husband’s years of service? Certainly not his widow!!! The exact thing happened to me. I make “just enough” to not qualify for my late husband’s pension. I’m in the same boat so to speak. I worked under PERS for 33 years. My husband worked under SS for 40 plus years before he passed. We were married for 45 years. I’ve never understood why his SS (federal) should have any effect on mine (state). Yet if I had passed away first, he would have benefited from my retirement. That doesn’t make sense to me. Do you think this could ever be reversed? I am a widow who also have my entire social security survivors benefit from my deceased husband eliminated because I retired from Ohio employment but also earned retirement from work I also had under the social security system. This is a great hardship to me. Congratulations and thank you for continued efforts leading to the reform of WEP. I, as well as many other public servant retirees, would like to see a restored distribution of Social Security benefits that were fairly earned through private sector employment, but never received. Yes, I agree. Why don’t I get my full Social Security benefits that I worked and paid into. Thank you OPERS for continued efforts regarding the reform of WEP. When I took the job with the State I was not aware of the WEP rules. I was made aware when I applied for Social Security. At the age of 75, I have wondered where all the money that was deducted from my pay checks and also the matching funds from my various employers had gone. to have my child. That’s 31 years in the public sector and then 16 years with the State. I have never regretted any day that I was employed by the State of Ohio, it was a blessing. 75yoa , I will be able to see the effects of your labors. If successful, would this apply to social security survivor benefits too? Had I not received a state government pension myself, I would have been entitle to a small approximately $500 per month social security benefit. Thank you in advance…. No — you’re thinking of the Government Pension Offset, or GPO. If you receive a pension from a government job in which you did not pay Social Security taxes, some or all of your Social Security spouse’s, widow’s, or widower’s benefit may be offset due to receipt of that pension. This offset is referred to the Government Pension Offset or GPO. I was never a government employee. I was a State of Ohio employee for 13 years. I worked many more years under Social Security. However, when I signed up for my Social Security, not only did they decrease my Social Security by two thirds, but I was informed that upon my husband’s death, my widow benefits would also be reduced by two thirds. Why? Why take my husband’s benefits from me when he only worked for the Scotts company? We continue to advocate for the repeal or reform of GPO and WEP in Congress. We posted a blog this week that included information on the WEP issue, https://perspective.opers.org/index.php/2018/11/27/consequences-of-the-midterms/. I have contributed to Social Security before, during and after my public service that was covered by OPERS. WEP is patently unfair. I applaud the efforts to treat persons contributing to both systems equally. Curious will this impact those who have retired previously with the government offset impacting their social security? This is all still part of the current ongoing legislative process and subject to change. I guess $100.00 is better than nothing but still would be much less than what my husband should get based on all the years be worked in the public sector paying SS for 25 years and then another 28 years for the state. Why can’t the law be the same for all who pay into and earn their Social Security, and also earn their pension. Hourly pay is lowered because of these benefits, Why is it treated like a bonus. What we earn, we should receive. My husband could have operated equipment under the operators union, and been compensated accordingly, but he chose to work for the County because it was close to home and had good benefits. Now, we are penalized for taking a lower paying job whose compensation is counted against what we earned in the private sector. It’s so frustrating. I would love to see this changed. I worked and paid SS and worked all of the quarters required and feel that I deserve some kind of reimbursement that I earned. IT’S TOTALLY UNFAIR TO BE PENALIZED FOR WORKING AND PAYING INTO SOCIAL SECURITY THANK YOU FOR ALL YOU DO. Will this be for those of us who have retired already or just future retirees? Current retirees impacted by WEP would benefit from the $100-per-month payments going forward, scheduled to begin in January 2020 under the proposed legislation. This is all still part of the current ongoing legislative process and subject to change. I truly appreciate the efforts to repeal WEP. Because I worked 20 yrs under SS until the company closed and had to start over for another 25 yrs of work under PERS. I believe I have earned the full amount under both programs. Looks good to me, get it passed. I was told how much I was to get in Social security, before I retired. They then cut it in half, “after” I took my retirement. Social security said they miss quoted me, “after” I retired. They had all the facts too, that I had worked for the last 24 years of OPERS. Please push for this reform. It. Is about time changes are made. All of us who worked under social security and as state employees earned both pensions. This discrimination (and that is exactly what it is) needs to stop.!!!!!!! I agree!! When I retired, having worked over the required time with Social Security, and also OPERS, according to the info Soc. Sec. sent me and what I receive per month was a difference of 60%. It is discrimination. Thank you for your continued help. Should get what they paid into for years. What about receiving your spouse’s social security? We currently entitled because of this supposed windfall provision? You’re thinking of the Government Pension Offset, or GPO. If you receive a pension from a government job in which you did not pay Social Security taxes, some or all of your Social Security spouse’s, widow’s, or widower’s benefit may be offset due to receipt of that pension. This offset is referred to the Government Pension Offset or GPO. HR 6933 does not address GPO, only WEP (which impacts Social Security benefits based on the member’s own Social Security covered work record). We continue to advocate for the reform of GPO and WEP. Thanks for the info. I have always thought this was unfair. Any increase would be gratefully accepted. Social Security benefits should be based on the amount of Social Security covered earnings, just like someone who never paid or worked in a Public Employment position. Somw of my SS employment includes military service. Thank you for trying to move forward in some way. I appreciate that Congress is attempting to address the unfair WEP practice that withholds my earned Social Security Benefit. I feel slapped in the face that the new HR 6933 would consider throwing $100 at me to just go away. HR 711 was going to be somewhat proportional. I can only hope that the New Congress will consider the full Social Security Benefits denied to OPERS retirees have been paid for already. This issue has been a poor decision from its inception. Please correct this injustice. I worked very hard as a Registered Nurse whether under OPERS or SS. In return I want the reward for doing so. It is long overdue. It is unfair to be punished for working hard. I appreciate what these two representatives are doing for us. It’s been a long battle so far for these guys! Thanks again. I just want to know why Congress penalizes public service employees but not a CEO or other executive that receives a pension? When a CEO makes more in a month (or less) than I do in a year. Am I not understanding something? I guess what I’m trying to point out is that I worked over 12 years under social security. I’ve now been under PERS for 22 years. My social security will be cut by WEP. A CEO or any employee that will receive a pension through their company and paid or pay into social security will not have their benefits cut by WEP. This is the way I’m understanding what is going on. Private pensions are not paid by using tax dollars as is Social Security. As I have posted before Social Security benefits are based on a diminishing percentage which means the higher your income the less of a percentage of that income you receive as a benefit. The intent is to give lower wage earners a higher percentage. The WEP provision takes into account our PERS benefit to give us an overall retirement income that is in balance with the Social Security tables. Even with WEP we are overall better off than being on Social Security alone. It takes a bit of study to understand the WEP, and it did take me awhile to grasp the concept, but it is fair. What would be unfair is to receive a higher percentage of SS income that we did not earn, especially considering the overall picture. I understand, to some degree, why WEP was established. I just wonder why only 11states thought it was needed! WEP and GPO are federal laws, not state laws. They apply to those people who receive a public pension from a job where they didn’t pay into Social Security, known as “non-Social Security states.” Ohio is one of 15 non-Social Security states where public employees don’t pay into Social Security. Instead, they pay into a public pension fund, like OPERS. We published a blog last year that provided more background on this issue that you may find helpful, https://perspective.opers.org/index.php/2017/04/04/supporting-solutions-to-the-wep-issue/. Yes I too agree that the WEP provision should be eliminated in its entirety. I worked 20+ years in the private sector and 27 + years in the public sector. After I retired I applied for my social security benefits. I was then told that I would only receive approximately 35% of my earned Social Security benefits due to my public pension. I ask the question “what would my social security benefit be if I chose to live in my parents basement for 27+ years playing video games instead of working for the local government.” The answer was “you would receive 100% of your earn Social Security income”. The key word is “earned”.If the government thinks your retirement income should be equalized for everyone what’s next? Take a portion of your Deferred Comp, 401K, IRAs or for that matter any other savings/ investments you have ? Once your retired It all becomes retirement income that YOU earned. My hats off to the two US representatives trying to stop the government from ripping off our piggy banks. My wife is an STRS retiree and will not be able to collect my SS due to the windfall elimination law. Would this legislation address the above issue? Not at this time. You’re thinking of the Government Pension Offset, or GPO. If you receive a pension from a government job in which you did not pay Social Security taxes (like OPERS or STRS), some or all of your Social Security spouse’s, widow’s, or widower’s benefit may be offset due to receipt of that pension. This offset is referred to the Government Pension Offset. What people fail to realize is that Social Security is NOT the property of the Government. This is money that was paid in by the tax payer/worker to provide a supplement to their retirement. This money was and is not intended to be used for any other purpose. The Government has taken money from this account to use as they see fit. They owe everyone who paid into Social Security their full benefit….plus interest! We are all being hoodwinked! I’m hoping that this $100 per month would be in addition to what little Social Security will be left over after WEP takes most of what I earned…. Yes — it would be in addition to what you currently receive. I retired almost 3 years ago now at age 60 I was told that I would not be able to get Social Security because I didn’t put anything into it doing my 30 years of service with the state. I was told it would be called double dipping to receive Social Security and I will only be able to get Medicare And the $250 upon my death to my children . I hope they make changes to this because it’s hard out here trying to make a living just of my retirement pension . So, if I’m already getting my 1/3, and it’s more than $100, what will this mean for me? As a retiree impacted by WEP, you would receive the additional $100-per-month payments going forward, scheduled to begin in January 2020 under the proposed legislation. It’s part of the current ongoing legislative process and subject to change. I hope this bill will pass. I will be appreciative of any amount of reimbursement I would get, but I lost a lot more than $100.00 per month. The WEP should never been put in place.. No one who this affects paid in to SS at a reduced rate. They need to do away with the WEP, I worked under SS many years before PERS, paid the same amount of taxes in that everyone else did and yet I’m penalized 2/3 because I later worked under PERS, very unfair, and I am not in A high income bracket. Keep pushing for us, I appreciate it! What is not fair is the fact that I worked in two systems, paid into two systems then I am only allowed to collect from one. Then give me back what I paid into the other system!!!! This is still so unfair. I would receive only $100.00 a month additional from Social Security and not the full amount that I earned and should receive even though I worked the forty quarters as required. Not understanding why it is settled at $100.00 when we have lost so much more? Your right Susan. Why go thru all this for so little and then not include the GPO?? A waste of time and monies IMO. I hope they can reduce or eliminate the WEP as a Retied PERS reciepiant, and a currently working in the private sector person, why are we pentilized when it only takes 40 Quarters to qualify for SS?? As State retiree, if I have 40 quarters of SS I should get what anyone with 40 quarters gets whether or not they work for PERS! My biggest problem with the WEP legislation is the fact that if you work 30 years under SS , then WEP does not affect you. That is okay, but, if you worked just shy of that before going into public service or during your working years, you only get a percentage of your SS benefits. In my case I worked approx 27 years in the private sector and only get half of my SS benefit. Quite a hit when you’re only 3 years short of receiving the full benefit. I feel if the WEP cannot be fully eliminated, then if 30 years is the deciding factor, the calculation for what you receive from SS should be be prorated on the 30 year breaking point. In my case I would get 27/30s or approximately 90% of my social security. That type of calculation would be much more fair. This WEP law is especially hard on workers who went into public service later in their working careers and especially difficult when wages in both SS and OPERS wages were not that high. It is definitely a discouragement for people to go into public service later in life. Could, or is, something like this suggestion in the proposed changes? Thank you for the suggestion, Mary. Hopefully this will pass. How will they know who was affected by the WEP? Thru social security records or will we have to apply? Thanks for your continued efforts on our behalf. WEP should never have been implemented. It is wrong. As a public service worker I paid into my retirement (PERS) with contributions from my employer. No where ever was the state or federal government involved. It is beyond my comprehension that the Federal government can withhold any of my social security benefits which I paid into. That would be the same as reducing someones social security benefits because they have a IRA/Keough plan. You are penalizing people for working, for saving, for having foresight. Just another reason for term limits and reducing the governments influence on the working persons every day life. I agree with both Allan and Mary as I also have had this experience. I worked from age 16 and both saved the maximum for retirement and paid into Social Security with the hope that I would have this income in retirement. I worked in private industry for 18 years and for the state for 27 years. I receive a small amount from Social Security and have been disappointed for years that I am unable to receive what I contributed for my future. Working for the government should be an honor and we should not be penalized for our service. Folks, keep in mind that this legislation does not do away with the WEP. It changes the calculation that determines the amount of reduction. Some older retirees will get a few dollars more, later higher paid retirees with higher pensions will get actually less – at least the way I understand the legislation as a cost neutral plan. The major change in this bill from the last is the $100 stipend added. I certainly agree that those of us who have paid our dues in the SS system should get whatever the amount that anyone retiring in the private sector would receive. You are correct. The bill repeals the WEP, but replaces it with a new formula that is similar in principle. I hope little or no OPERs financial resources are being spent on this cause. Be concerned with the pension plan you are responsible for, let those eligible for Social Security to fend for themselves. Everyone needs to understand the purpose of the wep provision and how it was implemented. It’s designed to give you the benefit percentage you should receive. If you had no other source of income besides social security and your income was low, you would receive the higher percentage. Looking at your social security taxable income and your pers income results in the adjustment to give you the percentage you actually earned. My social security was reduced by a third and it was fair. I paid into social security as well as my two deceased husbands. I also had 30 plus years in PERS. because of that I lose 2/3 of my widows benefit. This is not fair. I should be able to draw one full benefit from s.s. Regardless of what my pension is. Where does all that was paid in by three of us go? Will there be any difference in how this is proposed for those of us that haven’t started taking Social Security payments or won’t be until after 2020? Assuming the current bill passes this Congress without any changes or amendments, the rebate will begin in 2020. The new proportional formula for calculating the reduction will apply in 2025. Since I have only 8.5 years of OPERS service, if I decided to pull my money out of OPERS, will my social security benefits still be reduced? Also, please list all the other states that have WEP? Under current law, WEP doesn’t apply if you have 30 or more years of substantial earnings under Social Security. If someone has less than 30 years substantial earnings and refunds more than 5 years of OPERS service credit (and, therefore, is vested in the right to have received a public pension) they are still impacted by the WEP. For more information, read Social Security’s fact sheet on WEP at https://www.ssa.gov/pubs/EN-05-10045.pdf. 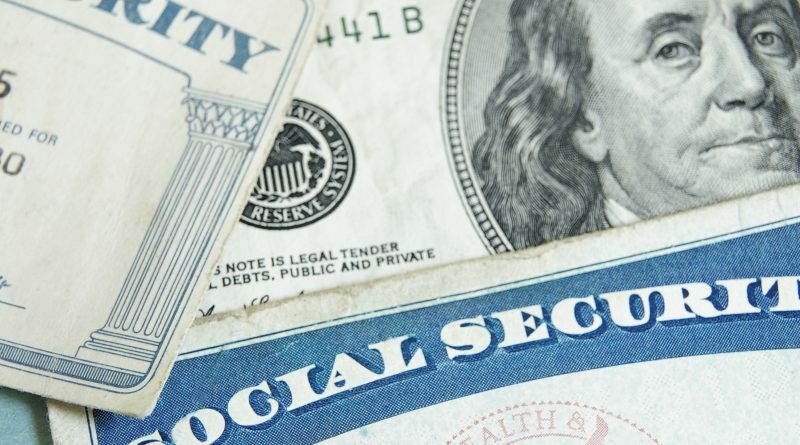 To answer your second question, according to a report by National Public Radio, there are 15 non-Social Security states: Alaska, California, Colorado, Connecticut, Georgia, Illinois, Kentucky, Louisiana, Maine, Massachusetts, Missouri, Nevada, Ohio, Rhode Island and Texas. Most other states have some public employees who are not covered, typically police and firefighters. To read the NPR report, go to https://www.npr.org/sections/ed/2018/04/20/602846417/why-more-than-a-million-teachers-cant-use-social-security. WEP is a federal law, not a state one. We published a blog last year that provided more background on this issue that you may find helpful, https://perspective.opers.org/index.php/2017/04/04/supporting-solutions-to-the-wep-issue/. Hi in answer to your question about WEP I moved to SC . I retired in 2004 and moved in 2005. CPA’S had a difficult time doing taxes .It does follow you. I worked 12 years for an Opers hospital. I figure that in 14years I have paid 6-7,000$ a year. or more all that time. I am 75 and probably won’t see a dime and $100.00 a month is a pittance but it is a good start for younger retirees.I worked 45 years and I really resent this. I am a retired public employee receiving PERS. I worked 20 years in private and 21 in public. Of course I lost 2/3 of my social security. I put into social security like everyone else. I can remember when I started with the public sector, the pay wasn’t great, but everyone said the retirement was wonderful. Well, no one told me that I would lose 2/3 social security. I feel like if you put into social security and public you should get the amount you are owed, regardless of where you worked. This is just not right to take 2/3 of somebodies pension. I am glad to see this bill is being brought up again. Is that an additional $100 a month to what we are getting now from SS ? Otherwise that is a pay cut for me. Yes, under the current proposal, the $100 would be in addition to what you are currently receiving. Would this Bill include state employee(s) that worked under SS, but fell short in obtaining the required 40 quarters required to collect SS benefits? Thank you Representative Brady and Neal for working together to protect government workers from obtaining their deserved pension. There is a lot going on in Washington right now – I hope that the end result doesn’t lower what those of us who get a % of SS – do not lose what we have. In other words I don’t want to see repercussions somewhere else – like in Medicare!! Long long overdue. And it’s gratifying to see a Democrat and Republican working together for our good. Thank you OPERS! If I have 40 years of substantial earnings for social security and I get a pension from OPERS do I still have a deduction for wep? Please contact your local Social Security office for questions about your personal situation. You can find more information on the OPERS website at https://www.opers.org/members/retiring.shtml. Scroll to the bottom of the page to the “Social Security Coordination” section. I appreciate all your efforts to eliminate the WEP I worked full time under Social Security for over 10 years, and my SS benefits were significantly cut. I and my employers paid into SS and followed all the rules. There is no reason to punish me and those in this situation. Please continue your efforts on our behalf. Thank you. will be there when they retire. I always thought this was unfair to those of us who worked enough qualifying time under both pension programs. I always use the analogy of some for example GM employees paying into their pension fund as well as SS just as I paid into my SS and OPERS pension fund. Don’t tell me they are two gov’t entities I know that but I paid into both as did the GM employees. Now when I retired I of course got my OPERS pension. At age 65 I was eligible to collect SS. My SS pension was cut by over 2/3 and after paying for part B, etc. I now get a total of $32.00/month. Although I didn,t work a lot of years nor made a lot of money under SS I was still eligible for SS. So can someone tell me why is it fair for the GM employees to draw 2 pensions but not for me. I would be very pleased if they can find a way to make this fair to all. Thank you. I was excited to see someone was actually working to have what I consider a terrible misjustice resolved. I worked 11 years for Social Security before I got a job under OPERS. When I retired, and my husband retired, they drastically reduced my Social Security instantly. I was shocked. It’s like I never worked all those years under SS. I had a 31 year career under OPERS. Met the requirements and am drawing a pension for my service. I am currently working on my 17th year under under an employer paying into Social Security. Why am I not allowed to get my total benefit for these 17 years? I have to say, I started as a young woman in OPERS. After 30 years, I was blessed to be able to retire with a great benefit from OPERS. I am greatful and happy for the opportunity to serve all those years. Being a single mom, I often picked up odd jobs, and also play professionally as a musician. After retirement, I fell into a second career in private sector. Have worked for 9 years as a high wage earner, qualify for the reduced WEP benefit in another year at age 62. This was something I NEVER expected to receive at all. It will make a big difference either way in my future, and allow me not to have to work anymore. I appreciate every little bit! It’s a step in the right direction if it gets passed. But even then it’s only a small portion of what we were promised. We were told WEP was meant to address the “fatcats” who retired at high salaries from a public and a private position and were therefore entitled to two “full time” pensions. I spent 13 years in private industry paying into SS. Later I made a career change and worked for County EMA and concurrently as a part time firefighter/EMT. Both PERS positions. So now because of WEP I will lose 2/3 of the promised funds from SS. Instead of narrowly addressing those who are receiving two full pensions WEP penalizes the working stiffs who really deserve what they’ve sweated for all their lives. Little wonder that many retirees need to continue to work to supplement their pensions. You have captured exactly what I think is wrong with the WEP. Because I worked in low paying jobs for over 30 years, I am subjected to the WEP because I do not have 30 years of substantial earnings according to SS. So my small SS benefit is cut due to my small Ohio pension. I am one of those working stiffs you mentioned who is being penalized by this provision. Although I didn’t read every reply to date, and I will upon completion of this comment, but this needs to be extended to the Government Pension Offset program as well. I was in private sector business paying in to Social Security for 36 years and then 10 in public sector under OPERS, so as a retiree I get my full benefits for both, but my wife who had the largest portion of her career in the school system is eligible for 1/2 of my SSA benefit minus 2/3 of her school pension. This should be a parallel change for both programs, as regardless if the SSA benefit is based on your earnings and payments or that of your spouse they should not be reduced, just because you had a different type of career, I applaud these U.S. Rep’s from both sides of the aisle – what a novel approach to working for the people. I am very pleased to see this issue being addressed. I have worked in private sector jobs for over 30 years and at one time for a state university in Ohio for a few years, enough to get a small Ohio pension. I am subjected to the WEP because I do not have SUBSTANTIAL earnings according to the levels SS sets. In other words, because I have worked in low paying jobs much of my life, I am subjected to the WEP. I am particularly galled at the name Windfall Elimination Provision. How in the world is my $500 a month Ohio pension a windfall? How is that enough to reduce what would have been an $800 a month SS benefit to $500 a month? Not much of a windfall in my opinion. Thank you for keeping us informed about this. I will take whatever extra, should it happen, but it really does not make up for being denied what I believe I am rightfully due. I worked almost 33 years for the state and federal governments. Sadly I was penalized because I was under 3 retirement programs and I personally paid into all 3 also. However when it came time to colIect the 3 retirements were severely cut. I would have had a much more lucrative pension if all my years were under either state or federal and NOT cut by WEP (even though I paid full rates). Private pensions do not mandate SS reductions. Although all pensions should be portable when offered. I am also affected by the WEP. I would love to see this changed. If we paid into SS, then we should be able to have all we paid into SS. Please let this bill go thru to help out us workers!!! Thanks for all your work!! Keep up the good work. I worked for the State of Ohio, and in the private sector and my late husband worked for the private sector. They take 2/3 away each month from me. What did they do with the money I put in Social Security. Please help those who have the quarters paid in to SSI to get what is due back to them instead of 1/3 of it due to their OPERS pension. It is just not right after we paid up front. OPERS is just not enough to live on. Help!!! i’m all for eliminating the WEP guidelines! the deal was, as it was presented to me two years ago, that yes, i had 32+ years of qualifying income IF I DID NOT HAVE MY PERS RETIREMENT! people who worked *only* in the private sector have A DIFFERENT CHART of what is considered “significant” income than we who paid our dues twice. chart, schmart… i worked just as much, earned just as much and paid into the system just as much as anyone else did… and more! yet because i worked as a public employee, i am being penalised every, single month! I CALL SHENANIGANS ON THE SOCIAL SECURITY SYSTEM! Thanks to all working on this issue. All of us that have worked long enough to qualify for the benefits our years of service and contributions have earned should received all of those benifits, without any reduction. Thanks for working on this issue. I continued working well beyond my Social Security full retirement age. I received full SS benefits beginning at age 67. I worked longer in the SS system than in OPERS. When I finally retired with 20 years of government service with OPERS retirement benefits, at age 75, my Social Security benefit was reduced by 41%. Whatever can be done to regain part of the SS money that I paid into would be greatly appreciated. Where is the equal protection under the law? How is this law Constitutional? Why don’t we give people who bring their skills from the private sector to public employment a bonus not a penalty? Otherwise you only reward the career bureaucrat and career politician? This is wrong thinking! Sounds good for some but not really good for all, depends on your years worked under SS. I worked full time 25 years under SS. Then I worked 25 years under Ohio Government OPERS. My husband died at age 67 after collecting SS for 22 months. I cannot collect on his SS because I have my own SS of which i only receive about 30%. Instead of a flat $100 for everyone, I believe it should be done on a percentage of the full actual SS that I would have received after working 25 years under SS. OPERS members receive amounts ranging from a small amount (i.e. $37 to $500 or over) monthly. The fairest way would be a percentage. Thanks for all the updates regarding WEP and GPO offsets legislation. Also the comments by retirees and how their life has been effected. I am in the same situation as many have stated, met requirement to qualify for SS benefits and Medicare, which involves WEP. No eligibility for Widows benefits following the death , of my spouse due to the GPO. This truly is unfair and creates hardship for retired workers. Hopefully there will be a more fair resolution than only $100.00 per mo. payment for the WEP provision, while the GPO is equal problem for public employment retirees. My wife will receive my opers pension when I die assuming I will die first. She will receive her own social security when eligible not mine. Does the GPO or WEP have any effect on the amount of social security she will receive? I think not but not sure. Yes — the Government Pension Offset, or GPO, impacts surviving spouses. If you receive a pension from a government job in which you did not pay Social Security taxes, some or all of your Social Security spouse’s, widow’s, or widower’s benefit may be offset due to receipt of that pension. Well I hope these changes can be made, I had enough credits for Social Security when I was 55y/o. Now I cannot get all the money I paid into Social Security because I had a government job and get OPERS. I made a contribution to Social Security for retirement and I should get the total amount of money I would get from Social Security if I didn’t have a government job when I retired. So glad to see that someone really is paying attention to this issue! I have certainly been impacted by the offset, but am also wondering if there is a repayment of Social Security benefits if this legislation passes. Not under the current proposal. 31 years under OPERS, 20 years under SS. Paid into both. Why can’t I get 20 years of benefit? I suggest we write Representatives Bardy and Neal to commend them and make our feelings heard. Also, your local Congressman, along with copying Senators Brown & Portman. I totally agree with you to Cindy! Why are people who work and pay into ssn and a pension are punished for taking responsibility for providing for our families and paying taxes in support of our country. Those who don’t work and refuse to be a responsible citizen get rewarded with free everything from our government. I have been cheated from my ssn benefits for ten years because I received a better paying job with a pension! Where is the incentive to work, only to be punished. Hopefully justice will come! I worked all my quarters in the SS system, and worked 27 years in OPERS. I only receive 1/3 of the benefit I should have gotten. It seems ridiculous to penalize people for working and paying taxes a long portion of their life. 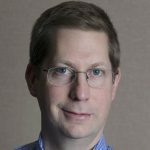 Does WEP or GPO affect my wife social security as a surviving spouse of my opers pension? She has always worked in the private sector. The Government Pension Offset, or GPO, impacts surviving spouses. If you receive a pension from a government job in which you did not pay Social Security taxes, some or all of your Social Security spouse’s, widow’s, or widower’s benefit may be offset due to receipt of that pension. HR 6933 does not address GPO, only WEP (which impacts Social Security benefits based on the member’s own Social Security covered work record). We continue to advocate for GPO and WEP reform. I could never understand how this reduction in our SS benefits came about in the first place . If you paid into a program you should reap the benefits regardless of the other programs you are entitled to. I am grateful and hopeful that this injustice to public employees will soon be rectified . Thanks to all who are working to correct this problem. I don’t understand the $100/mo. I worked for both private and public most of my career(two jobs). My SS was reduced by 2/3 but I currently receive more than $100/mo. Will the new proposal reduce my current benefits? I think this law should be done away with. Anyone who has paid into SS should be able to get their full amount no matter where you retire from. It’s our money, we worked for it, our employers put into it. I’ve paid into it, my late husband paid into it. After my husband died I was able to collect his when I turned 60. He was OP&F , but he paid into it from other jobs. Once I retired through pers a year ago I got cut 2/3rds , which left me paying part of my Medicare. I paid into it from other jobs. I only had 10 years with pers, my retirement is so low my biggest fear is becoming homeless. I need that SS now more then ever and it wasn’t even that much to begin with. In addition to 7 years of employment paying into SS, I then paid into SS for 4 years WHILE ON ACTIVE DUTY IN THE US NAVY. Had sufficient “quarters” of paying into SS BEFORE I was discharged and entered public employment, and paid 37 years into OPERS. Continued to pay SS on private income during those 37 years! SS benefits slashed by 2/3 due to public pension. Grossly unfair! If nothing else, VETERANS who paid into SS should be exempt from provisions of WEP! We should receive our FULL SS amount. That was a FORCED contract with the U.S. Government. The Government never told me, when I was 15 years old, that if I retired with a pension check I would not receive my full SS benefit. I never associated the word “Windfall” to people punching a time clock. I had 27 years of substantial earnings under SS. I also worked for over 10 more years part time under SS, but did not make enough to be substantial earnings under their formula. I had almost 23 years under OPERS. I was told that people in my situation would receive an unfair advantage over others that only paid into one program. It was “fair” paying into both, so why can’t we collect from both, at a full rate. SS takes $110 every month from me. It would be good to receive the $100 more per month……please get this passed. I would like to thank OPERS for all of your ongoing efforts to provide relief to those of us impacted by WEP. I am glad to see this matter being addressed. I don’t think it fair that we lose that which is rightfully ours so that others benefit from our hard work. I feel we should receive our full SS benefits, not just a portion or pittance. Others who know how to play the game are making out while we are losing out. Hoping for the best! I’m glad this is being looked into again. I would certainly be glad to get the $100 per month – but would really like the extra $600 that I’m entitled to . I worked in the private sector in one capacity or another since the age of 16. I had more than enough credits to qualify for social security despite working for the state of Ohio in the public sector for 25 years. I feel that this money earned in Social Security is mine, and having it slashed by over 50% is totally wrong. Thank you Kevin Brady and Richard Neal for introducing legislation to correct this unfair concession. I’m in the same boat as you Larry. I worked in the private sector for 15 yrs and then worked 26 yrs in an OPERS job. I have plenty of credits in SS but I won’t see what I was required to put in to it if something isn’t done to change the laws. People say “Oh you don’t need it.” How do they know I don’t need it? Everyone always needs more money!! Hope you get this passed. We are being treated unfairly. Total discrimination against us.